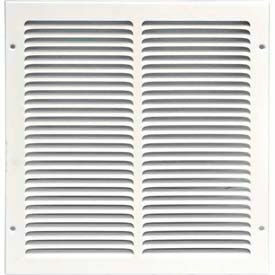 Speedi-Grille Vent Covers Are Used For HVAC Air Returns. Speedi-Grille Vent Covers are designed for surface mounting. Grilles have fan-shaped louvers and are made of steel with durable, paintable White Powder Coat Finish. Collars are sold separately on some models. Made in USA. Speedi-Grille Hands Free Vent Register Covers Are Very Easy To Install in HVAC Systems. Speedi-Grille Hands Free Vent Register Covers are made in the USA from long lasting steel. White Paintable Powder Coat Finish. Choose from Ceiling or Wall Registers with or without Hands Free Installation option. Used for residential and light commercial applications. Made in USA. American Louver Eggcrate Returns are used for HVAC Venting in Ceilings or Sidewalls. American Louver Eggcrate Returns are made of 1 inch thick aluminum for lasting durability and dependability. Eggcrate design allows for maximum airflow with 92% free area. Unit allows retrofitting in place of any similar size return grille. Sight-Guard™ Grille offers eggcrate pattern angled at 45° to prevent see through from three directions. Available in several sizes to meet HVAC duct requirements. Lengths and widths range from 7-3/4" to 48". Duct sizes and other dimensions vary per model. Package quantities are 1, 2, 5, and 10. 1 Year Limited Warranty. Now there is innovation in a Heating & Air register grilles. Are you tired of juggling tools and screws, especially on a ladder to install register grille covers? It’s difficult to try to install a HVAC register grille cover when you need three hands to do it but only have two. Speedi-Grille is designed to install hands free. You no longer have to hold the grilles in place while trying to start your trim mounting screws. Just slide your Speedi-Grille register grille cover in and the patent pending clip-design holds the Speedi-Grille in place leaving your hands free to install the trim mounting screws. Finish the Job in seconds, not minutes. The clips hold the Speedi-Grille in place and align the mounting holes perfectly to fit with the innovative Speedi-Boot mud ring frame. This precise fit improves air flow and your comfort level. 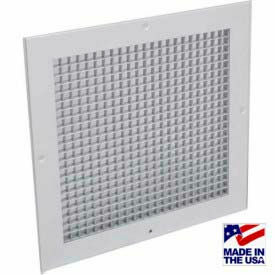 Speedi-Grille (Filter) is made in the USA out of a durable all steel construction with fan shaped louvers that can hold up to a 2 " depth filter (not included). It has a white paintable powder coat finish. Speedi-Grille also comes in other sizes and styles which includes floor, ceiling/sidewall and return air versions which are available on this web site. Speedi-Grille stays in place and reduces frustration and headaches. You will be amazed at how easy installing Speedi-Grille is and how much time/labor you will save. Grille trim screws must be installed for secure installation. (Speedi-Grille can be installed in a non-Speedi-Boot installation). Speedi-Grille Adjustable Registers Offers Easy, Hands-Free Installation To Keep HVAC Projects On Time. Speedi-Grille Adjustable Registers are made with either aluminum or galvanized metal construction for long lasting durability. Unique design eliminates the need to hold register in place while applying mounting screws, speeding installation and ensuring a proper seal and efficient air flow. Styles include Four Way Adjustable, Single Deflection, and Multi-Directional types in a variety of sizes. Mounting holes align with Speedi-Boot products' mud ring. Made in USA. Speedi-Grille Floor Vent Cover . 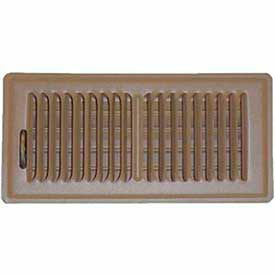 Speedi-Grille Floor Vent Cover are manufactured from durable steel in the USA. Choose Brown or White powder coat finish. Features ½" fan-shaped louvers. Speedi-Grille's easy hands free installation allows cover to stay in place with clips, leaving your hands free for tools. Deflection Register also available. Includes a volume damper. 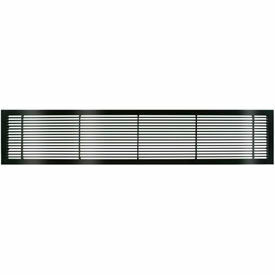 Architectural Grille AG10 Series Air Vent Grilles Are Designed For Custom Heating And Ventilation For HVAC Applications. 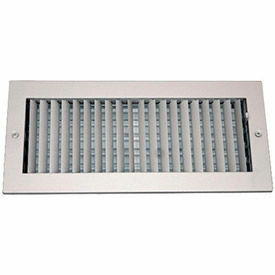 Architectural Grille AG10 Series Air Vent Grilles are made with extruded solid recycled aluminum bars with weld-lock construction for maximum durability. 'Drop-in' bar grilles are easy to install in residential and commercial locations. AG10 Series provides optimal air flow with fixed blades. High quality finish. Opening lengths range from 8"-48". Opening widths range from 2-1/4" -12". Available colors are Antique Bronze, Black Gloss, Black Matte, Brushed Satin, White Gloss and White Matte. Some models include door. No tools required. 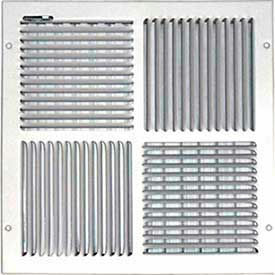 Architectural Grille AG20 Series Air Vent Grilles Are Designed For Custom Heating And Ventilation For HVAC Applications. 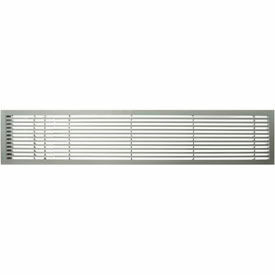 Architectural Grille AG20 Series Air Vent Grilles are made with extruded solid recycled aluminum bars with weld-lock construction for maximum durability. 'Drop-in' bar grilles are easy to install in residential and commercial locations. AG20 Series provides optimal air flow with fixed blades. High quality finish. Opening lengths range from 24"-48". Opening widths are 4" or 6". Available colors are Antique Bronze, Black Gloss, Black Matte, Brushed Satin, White Gloss and White Matte. Some models include Left Door or Right Door. No tools required. HVAC Insulated Floor Register Inserts Accommodate Ducts For Residential and Commercial Locations In Need of Secure Covering. 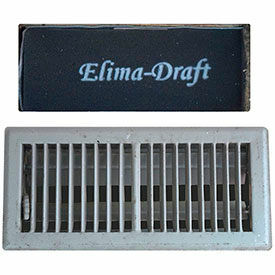 HVAC insulated floor register inserts prevent debris accumulation from inside ducts. Unit shape and foam sponge construction allows efficient adaptability to duct opening. Lightweight, compact design offers simple storing options. Dimensions vary per model. 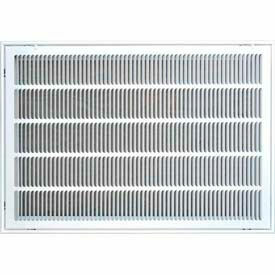 Speedi-Grille Return Air Grille Vent Cover SG-3020 RAG 30 " X 20"
Speedi-Grille Return Air Grille Vent Cover SG-2014 RAG 20" X 14"